1.) What is Remote Check Deposit? Our Remote Check Deposit (RCD) service allows you to deposit checks into your credit union account using a mobile device’s camera. It can be done anywhere as long as you have Internet access. 2) How do I access Remote Check Deposit? You will need to download the West Tennessee Credit Union app from either the Google Play or Apple App Store. 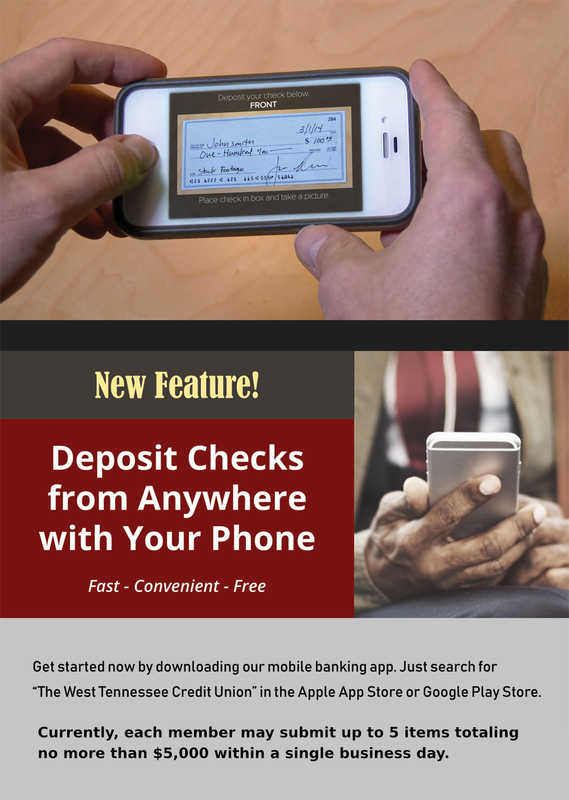 A link to Remote Check Deposit can be found in the app’s main menu. First-time users must call the Credit Union to set up an ID and initial password for Mobi¢int online banking. If you have our app but you are unable to log on, please contact one of our member service representatives. 3) Are there any fees for the service? The Credit Union offers RCD to its members free of charge. 4) How do I sign up for Remote Check Deposit services? There is no form to sign. All members who have online banking can access Remote Check Deposit. Please review the Remote Check Deposit Agreement for the full Terms and Conditions before using this service. 5) How do I endorse my checks? On the back of the check, please write For Mobile Deposit Only WTNCU Account #_____ and print and/or sign your name. Any RCD item without proper endorsement will be rejected. 6) Is there a deposit cut-off time? All items deposited through the RCD service must deposited by 2:00 PM CST Monday-Friday to be posted the same business day. All items deposited through the RCD service after 2:00 PM CST will be posted the next business day. 7) Will there be a hold on funds? The West Tennessee Credit Union reserves the right to place a hold on funds deposited through the RCD service in accordance with our Funds Availability Policy Disclosure. 8) How long do I need to keep a check I submitted through RCD? We ask that you keep any item submitted through RCD for 15 business days. Afterwards, you may destroy the check. Please verify that your account has received proper credit before destroying any check submitted through the RCD system. 9) How many checks can I submit in a day? A month?  Currently, each member may submit up to 5 items (totaling no more than $5,000.00) within a single business day. There is no limit to the amount of items that can be deposited within a single month. 10) My deposit was rejected. What should I do? If your deposit was rejected, you should have received an email with an explanation. If you did not receive the email, or if you have further questions, please call one of our member service representatives at (901) 358-3796.